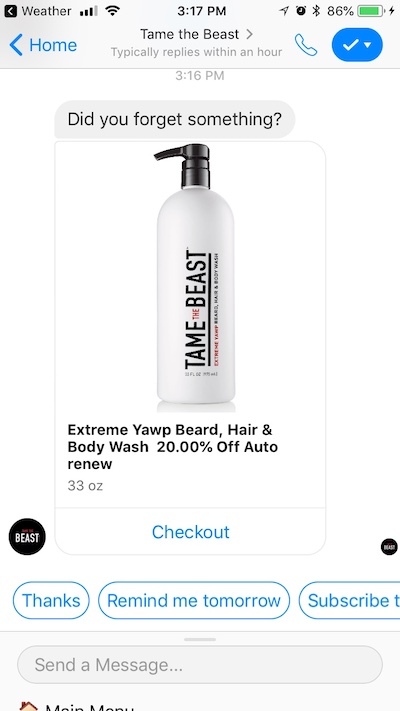 Octane AI is the Facebook Messanger chatbot platform designed to help Shopify merchants send abandoned cart messages, create custom flows and answer customer questions. With Octane AI Integration all of the abandoned cart messages, when a customer clicks "Checkout" from the messages, they will be taken to checkout with the product(s) already pre-populated in their cart. Go to the Octane AI Apps page and click on the Enable Recharge button. If it's already enabled from the onboarding process, you can just move on to step 2. 2. You need to enable this on ReCharge's side as well. You can do this by heading to the Integrations page within your app and clicking Get. After this, you should be all set!